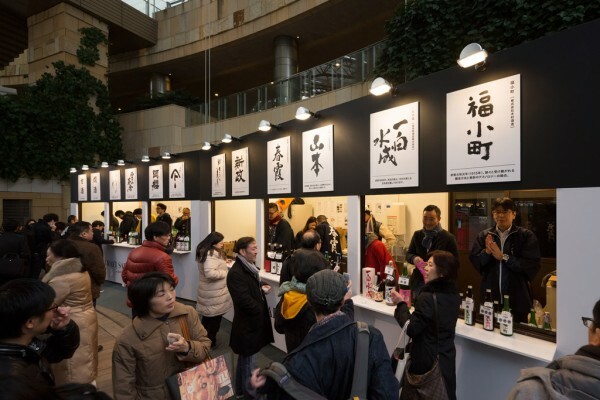 We designed the venue for an event held at Roppongi Hills Arena, during peak brewing season, where amateurs can taste freshly made alcoholic beverages from all over Japan. 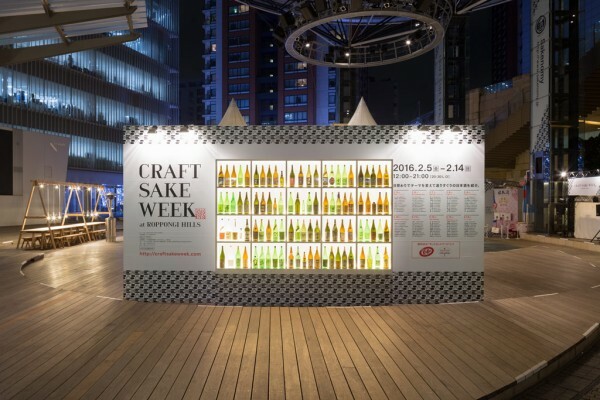 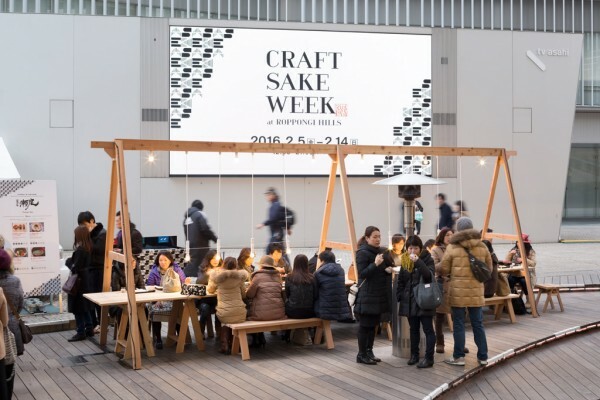 Produced by former Japanese football player Hidetoshi Nakata, Craft Sake Week is an event where visitors can taste 100 artfully crafted Japanese sake and shochu brands from across the country, presented in teams of ten daily specials. 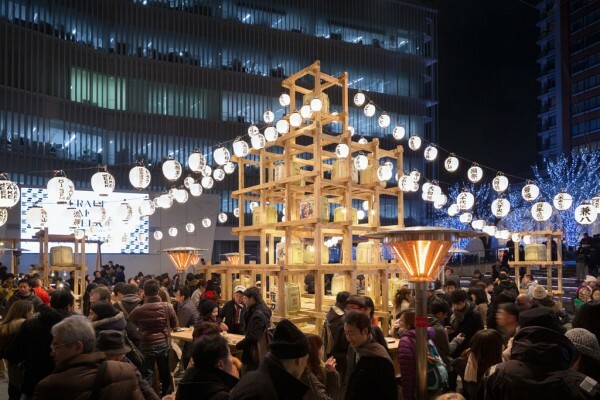 Deliverables included a space brimming with the excitement of a Japanese summer festival to warm up and make merry during the coldest time of winter. 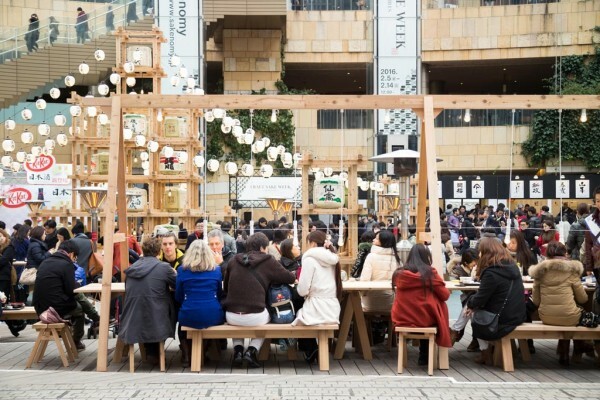 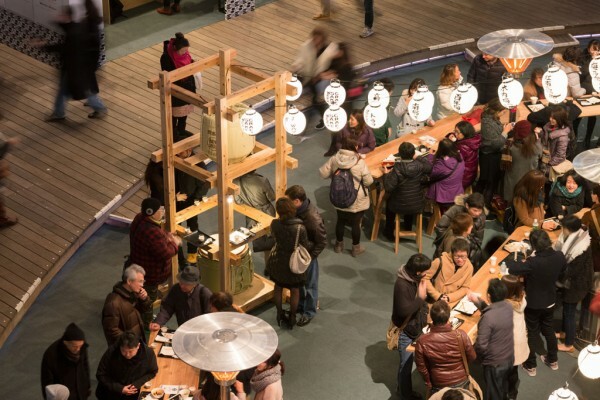 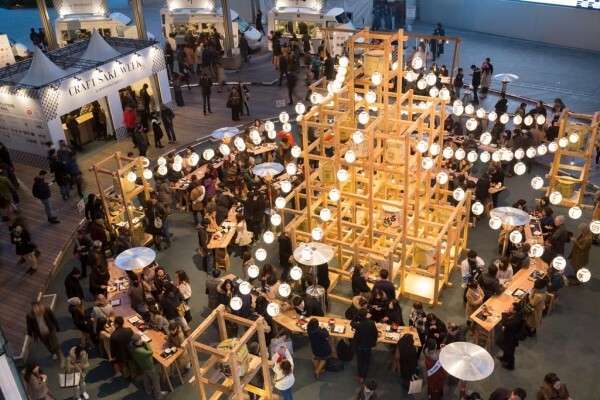 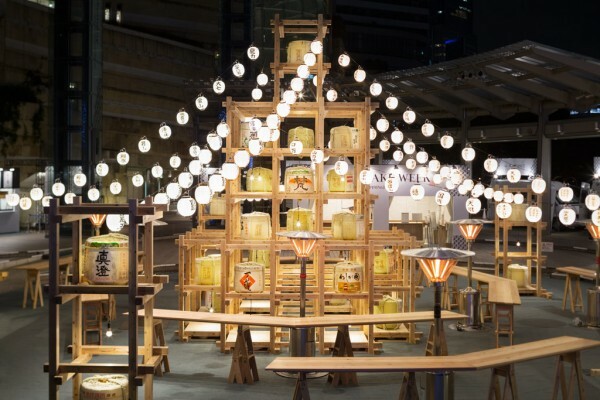 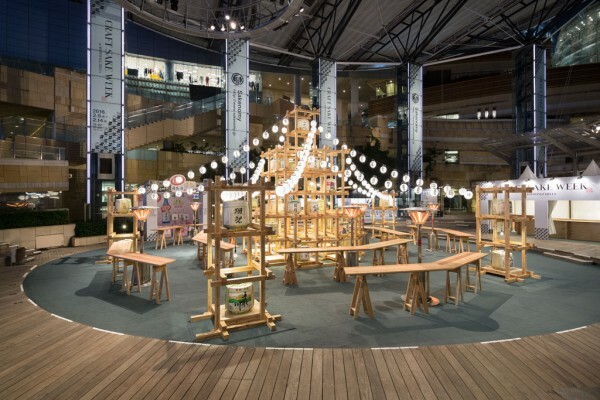 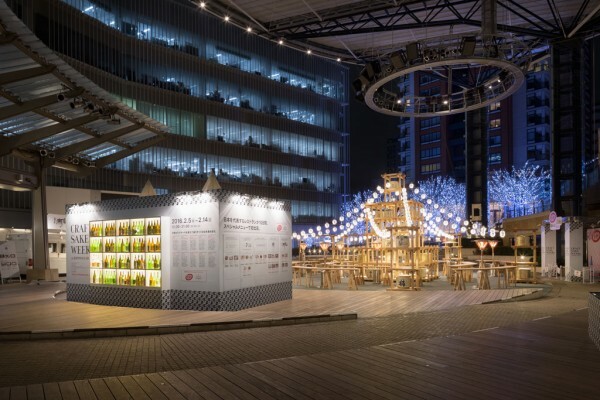 Here, people can enjoy a drink standing while having a chat at one of the high tables placed in circles around a big tower at the center of the venue consisting of 90 squares of Japanese cedar and acting as the event's symbol. 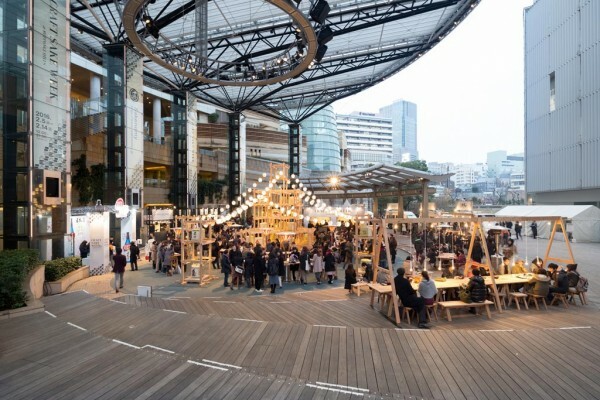 Furthermore, this configuration is echoed by the sake tasting stalls, food trucks and DJ booth setting the mood for the event that can be found arranged in a concentric fashion around the tower. 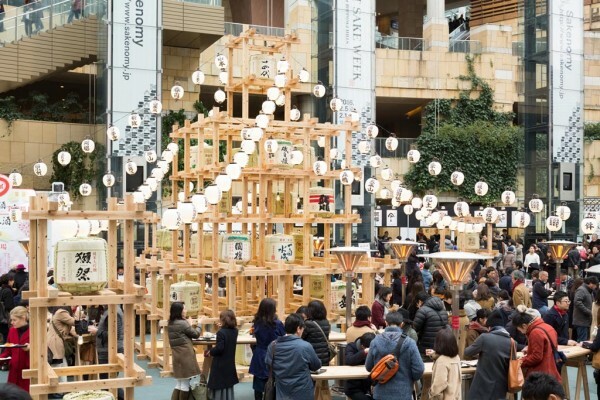 This wooden structure features sake casks from the breweries partaking in the event, thus serving as a showcase for Japanese sake. 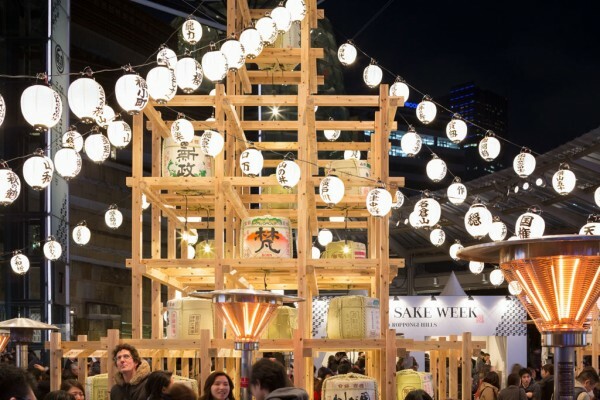 Moreover, hanging rows of lanterns bearing the names of the 100 sake brands featured meet at the top of the tower to give the plaza a festive touch. 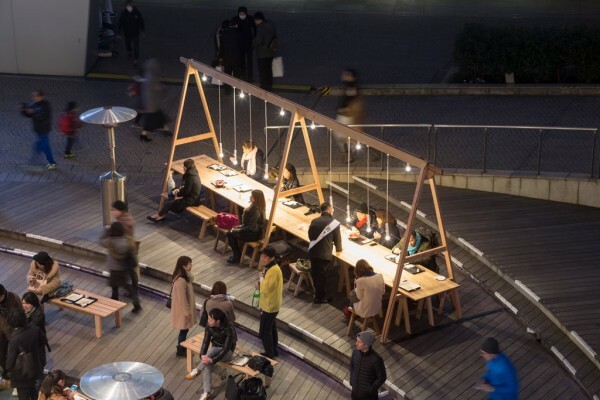 We set out to deck the space with lightings, tables, benches and AA Stools designed by Torafu and made by Ishinomaki Laboratory, to create a lively pub area where people can hang out. 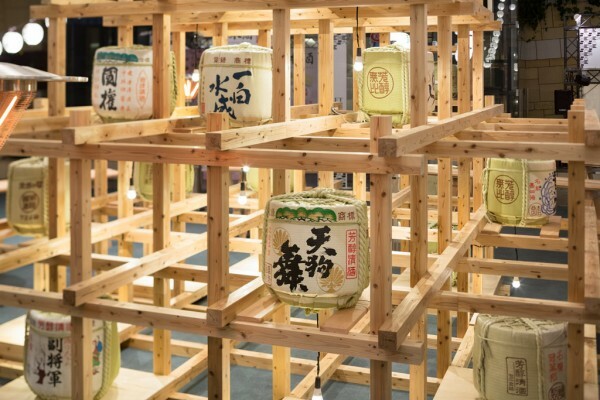 We strived to provide a central symbolic structure around which visitors could congregate and experience a sense of unity.